Act II Books and Puppets has been in operation since 1989, started our site in 1995, and went totally virtual in January 1997. 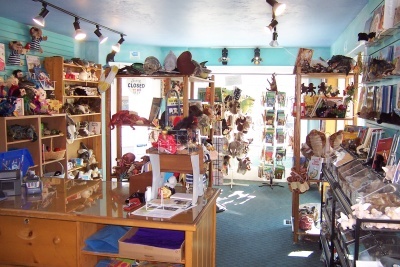 We opened our store in Langley Washington in the Fall 2005, a cute shop where we had two rooms on the bottom floor with children's books and Folkmanis puppets. Whidbey Island is a great vacation spot for any time of the year. There are lots of bed and breakfasts to stay at, boating and many other restful activities in this quaint seaside town that still retains its turn of the century (1900s) atmosphere. A very special weekend of fun is Mystery Weekend . We carry all of the Folkmanis puppets at discounted prices off retail (online only) and have many discontinued Folkmanis puppets, some in very limited quantity. We carry a large selection of children's books that can be paired with the puppets and are sold separately. Our prices include free shipping options for delivery to the US. Postage options for other locations, faster delivery options, and foreign shipments are available to give you choices.